Our expert roofers are trained and experienced in new roofs, re-roofs, and high-end roof repair. We specialize in quality roof systems to protect your greatest investment. From energy efficient tile roofs, to cost-effective shingle roofs or torch-on, we’ll install the best roofing system for your needs. Before choosing your roofing materials, speak with a Dulay representative to identify the ideal product for you. Our team has extensive experience installing high-quality, protective roofing systems to meet the unique challenges of this wet Vancouver climate. Your roof and your needs are unique to your home. To deliver the best service possible, one of our experts will schedule an appointment to help you plan and budget. Give us a call and discover the perfect roof. We will send one of our roofing experts to you home or job site to measure your roof, discuss roofing materials with you & to figure out how much your new roof will cost. This is normally the best way to understand how much your roof is actually going to cost & what your options are. We offer a no obligation free quote that allows you to understand exactly what is involved. We are a A+ BBB Rated company, and we pride ourselves in helping customers get a quality roof over their heads. We do not cut corners and ensure the job is done right the first time. In the rare case their is an issue we will take care of it without any issues. We stand behind all our work and our number one goal is to keep you happy. When you are getting a new roof installed by Dulay Roofing all you need to worry about is the compliments you are going to receive on your new roof. As a certified roofing installer for some of the biggest brands you are covered by life time warranties offered by the roofing material supplier. 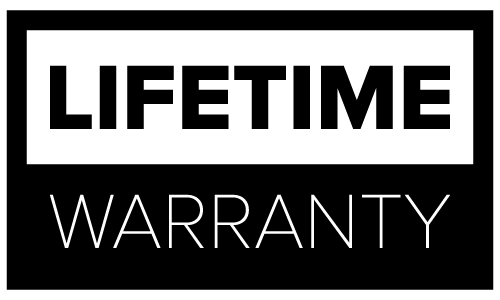 On top of the product warranty we will give you a 5 year warranty on the work that we preform on your roof. That means if anything goes wrong as a result of our installation we will fix it no questions asked. As a reputable roofing company we will even have a third party inspect our job after we finish & for any warranty claims to ensure you know you are covered.